The BI landscape is in a state of flux with organizations of all sizes increasingly taking to analytics to remain agile and innovative. However, even as BI has helped countless companies make smarter, data-driven decisions, it has yet to gain universal adoption. Entrepreneurs frequently run into business intelligence problems, particularly with using traditional and often archaic BI methods that deter the adoption of enterprise-wide BI software. Many are also overwhelmed with concerns of cost and effort that accompany BI implementation and discouraged by stories of BI failures. “Up to 70 percent of BI implementations end up failing to meet all the business goals,” according to Gartner. With traditional BI having reached its end of life in terms of structuring & correlating data at the scale of volume and variety needed today, a parallel industry of big data analytics has emerged, displacing the traditional ETL methods and making way for a disruptive new path ahead. 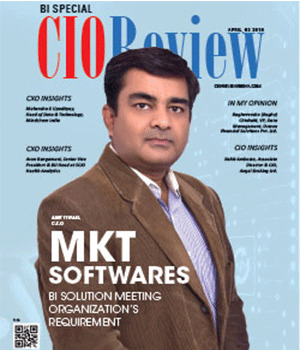 Aligning with this transformation, Mumbai headquartered SmartCirqls builds BI solutions with a goal of making machine data searchable and actionable to enterprises in India. Established in 2012, SmartCirqls turned this goal into reality by forging a partnership with Splunk, a leading US based big data analytics platform. The company has since transitioned into leading and managing the partner network for Splunk in India and leverages this association to help organizations derive key business insights from data. “Since our market is still at a very nascent stage, there is a need to not only support customer engagement and partner enablement, but also provide the industry with the expertise, skill sets, and roadmap to align their progress with our own. 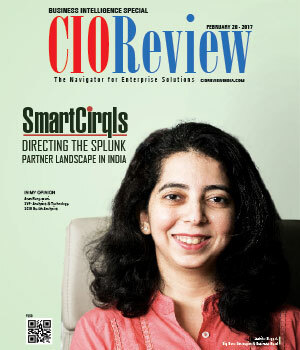 SmartCirqls has been turning the tables and helping organizations overcome the hurdles incumbent in traditional BI tools, while simultaneously creating the much needed skill sets for Splunk and Big Data Analytics in India”, states Juthika Nagpal, Big Data Strategist & Business Head, SmartCirqls. With the volume of machine data generated at the organizational level growing exponentially every year, the sheer size, diversity, and complexity of the data prevents organizations from unleashing its full potential. This leads to a lack of direction towards a single view, single product and single stakeholder of this information. SmartCirqls recognizes that a large contributor to this is the fragmentation in leadership between business, operations and IT, and hence adopts a ‘small data- big questions’ approach to directly address the same. SmartCirqls uses a three step strategy that involves consolidating the key performance indicators that the business uses to quantify success, correlation between information silos within the organisation to compute these KPIs, and the technical compliance that allows secure storage and retrieval of the data. To bring this about, the company uses Splunk which consolidates raw machine data from its point of creation in an IT environment and centralizes this data in a single product layer. SmartCirqls builds out live dashboards and views of this data across business and IT to bring a unified approach to data analytics. Real-time business insights are a key aspect of this, where transactional, usage, and point of sales data can be brought together to tie in customer behaviour with business metrics, system performance with revenue loss, sales numbers with peak response times, and other such KPIs that can cross-evaluate business processes with simplicity. 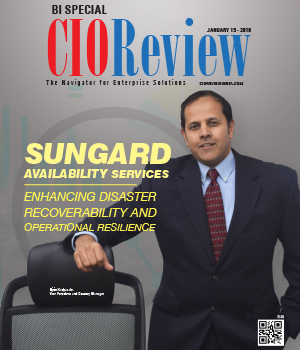 This approach has helped SmartCirqls differentiate themselves from traditional business and IT analytics companies in the market. In order to keep up with the changing landscape of data analytics, the Big Data Strategists at SmartCirqls work closely with clients to understand and evaluate the metrics and data requirements that are key to their business. “No two businesses have identical issue resolutions, and no two Splunk implementations are alike. It is imperative that we engage our clients effectively so that our teams can work synchronously as one,” adds Juthika. This strategic use of the product to unify processes and people, has helped SmartCirqls gain more favour with its clientele. SmartCirqls has thus effectively carried out several BI implementations using their unique approach. Zee Digital, for example, utilized the Splunk platform to analyze content consumption across their OTT Live TV streaming service. With this platform, the company was able to resolve issues and attain product and business metrics, with end to end visibility across their systems - content delivery network, data from their mobile and web applications, subscription management systems, and from marketing plugins. The company has procured an esteemed clientele across different industry verticals such as Lenskart and Hopscotch in E-Commerce, Ezetap, Razorpay and Chillr in Transaction & mPOS, and IT organizations such as Cisco, Cognizant and Mu-Sigma, to name a few. They have also deployed the largest Splunk project in India for a telecom giant. Having gained adequate acknowledgment in the Big Data Analytics domain in the last four years, SmartCirqls has created a blueprint that involves investing in technical expertise and R&D on big data and Splunk, to contend with the transforming data culture and bring about greater impact in the BI ecosystem. 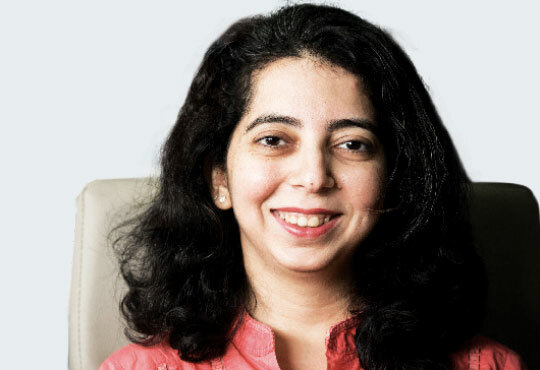 The team is also focused on transitioning from a service oriented company, to being the resource and enablement center for a growing Splunk Partner Network across India and South Asia.